Mac Griswold is an acclaimed cultural landscape historian and writer. Rooted in a childhood spent exploring the castles and towers of lush north central New Jersey, Mac went on to study landscape design at the Radcliffe Seminars and horticulture at the New York Botanical Gardens. She is the author of Washington's Gardens at Mount Vernon: Landscape of the Inner Man, Pleasure of the Garden: Images from the Metropolitan Museum of Art and The Golden Age of American Gardens: Proud Owners, Private Estates, with Eleanor Weller. She taught landscape history at Sarah Lawrence College, where she was a recipient of the Noble Chair in Art and Cultural History, and has lectured widely in America and Europe. A Guggenheim fellow, she has written for The New York Times, The Wall Street Journal, and Travel + Leisure. 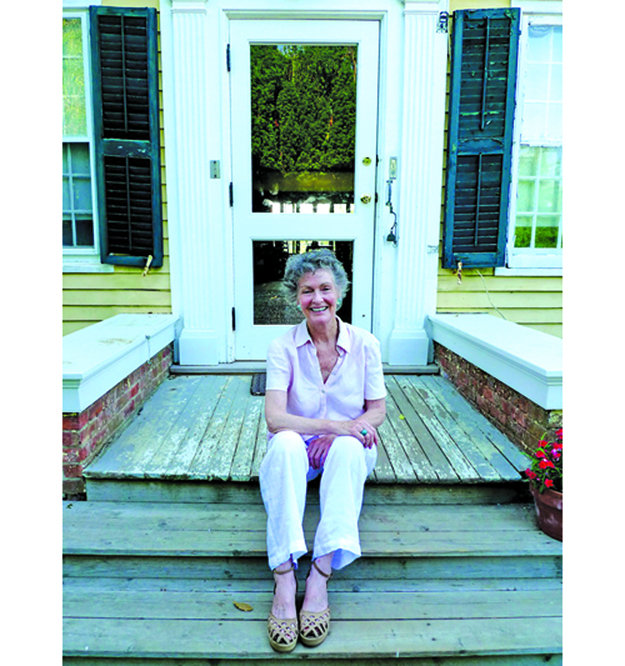 Mac has lived in Sag Harbor for 20 years and recently moved to East Hampton; her first trip to Sylvester Manor in 1984 was a chance encounter with a friend. In 1997, she returned to the manor and began what would become a labor of love - nearly two decades of immersive research in Shelter Island and the Sylvester family archives, as well as fieldwork in Africa, the West Indies, and Europe. She became fascinated by the unique character of this space; the manor's modest frame belied its dramatic history as the only intact slave plantation north of the Mason Dixon line. Mac currently serves as a board member of The Cultural Landscape Foundation (TCLF) and as a co-chair of the Sag Harbor Tree Fund. She is represented by the Andrew Wylie Agency. Read an in-depth profile of Mac's life & her Sylvester Manor story here.